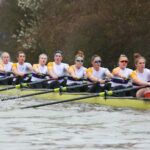 The University of London’s crews are unaffected by the weather enforced reduction in entries to this weekend’s Women’s Head of the River. 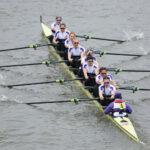 UL has two entries, with the UL Women’s 1st Eight looking to again finish in the top 5 and move into a podium position. 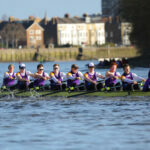 The UL 1st Eight contains athletes with Junior, U23 and Senior World Championship experience. Matilda HORN rejoins the UL squad from her regular duties coxing the Great Britain Women’s Eight. Both UL entries are made up of Postgraduate, Undergrad and Medical students, from across the 18 universities & colleges that form the University of London.